ASE-Certified technicians undergo continued training and education to expand thier expertise and keep up with the ever evolving industry. With the latest diagnostic tools and expertise, shops can perform the services your vehicle needs – from gathering critical data from on-board computers to performing repairs and maintenance to keep your vehicle running smoothly. In this month’s ask Jon, I’ll be talking about whether you should drive your car or have it towed when it is in need of repairs. The two major contributing factors to this decision are safety concerns and or causing damage to the vehicle by driving it. From time to time, we see cars driven to our facility that should have been towed. Sometimes what could have been a simple issue is compounded just by driving the car to the shop! Running the engine when it is overheating or low on critical fluids causes engine and mechanical component damage that can run in the hundreds or thousands to repair. The dashboard indicators play a crucial role in the decision to drive the car in or tow it. Most vehicles now have indicators for critical fluid levels. 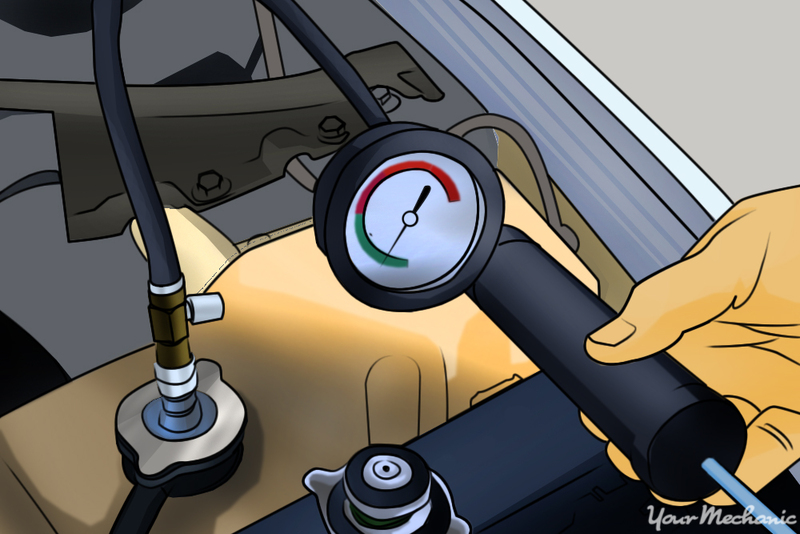 If the engine coolant or oil is low, you will be warned by these indicators. Also, if the temperature gauge is high or a warning light is on, you should not drive. You should, however, be aware that not all vehicles have these warning lights. For the most part, everyone is in tune with how their car should sound. If it is making an unusual noise like a grind, scrape or knocking sound, you should be concerned. The other critical factor is safety. If the car doesn’t stop properly, if the steering is binding, there is inadequate power, or you have loose suspension or components, these are all reasons to call a tow truck. Your safety and the safety of other people on the road is a major concern. We always tell people to have the vehicle towed if any of these items are in question. A simple phone call to your repair shop is a great way get help in this decision. All repair shops have towing companies they will suggest. My advice to anyone that owns a vehicle is to join a roadside assistance program. A lot of people don’t realize many insurance companies and even cell phone companies have programs available to their customers. These clubs will be able assist you in towing the car, if you run out of fuel and even if you lock your keys inside. It is always best to have your car towed if you have any doubt whatsoever. If you have any questions about your car or comments about this column please feel free to contact me. And, as always, if you’re in the neighborhood, feel free to stop by Garry’s Service Center in Concord or Eurasian Autoworks in Tilton and say hello!!! This month in ask Jon, I will be talking about the sharp influx of vehicles in for service due to the January cold snap. My hope with this column is to help people understand what causes reliability issues in their vehicles. More specifically in the winter. The cold has a grand effect on many vehicles. Our lot on some of the worst days is a parade of tow trucks. Obviously the most common issue is batter- ies. As a battery gets older it loses its ability to hold a charge and have a strong cold cranking capability. For the most part my observa- tion is the average reliable battery life span is around five years. If a battery sits in extreme cold with a low charge chance are it will freeze. If a battery is dead in the cold, it will positively freeze. A frozen battery has no chance of starting an engine or even being jump started. This leads to a battery replacement on the spot or a ride on a tow truck. In some cases, the battery can be slowly warmed to thaw and recharged. Keeping in mind it has to be thawed before attempting to recharge. But still in this case the cause of the issue would need to be properly diagnosed to be sure it doesn’t reoccur. As a side note, I don’t know of any service center that would charge a customer just to test a battery. Issue number two is your common “no start”. The popular cause of this is a lack of maintenance. When the engine is started in the cold the computer system feeds more fuel to help the engine and catalytic converters to heat up more quickly. With worn items such as spark plugs, ignition wires and even air filters it makes it more difficult for the systems to burn the added fuel. In some cases, this leads to flooded engines and no start conditions. Some other reoccurring issues are; broken or torn wiper blades, mostly from ice scrapers and pulling the wiper blades off the windshield when they are frozen. Frozen washer fluid. Yes, this happens. Some of the cost-effective washer fluids on the market are great in the summer. They however have a poor cold temp freezing point. It is always a good idea to go with a de-icer style washer fluid in the winter. It contributes to safer visibility and has a very good freeze rating. Take care of your car. Be ready for seasonal changes and don’t be a “tow in”! If you have any questions or comments, feel free to email me at the address below. And always stop by Garry’s service center and say hello!! To idle, or not to idle…. For years now, the practice of letting your car “warm up” before winter driving has been commonplace. In the past, it was believed a warm-up was good for the vehicle and had good side benefits, including a nice warm interior and clear windows. In this day and age of eco-conscious citizens, the practice has become frowned upon. In years past, warming the engine was done for several reasons, some with merit, some without. Previously, the conventional oils and fluids in your engine benefitted from a cold weather warm-up to help them thin out before the engine was put to work. Another major reason for the warm-up was to allow the carburetor to stabilize, come off full choke, and achieve the proper air/fuel mixture. This helped to reduce the risk of a safety issue associated with carbureted engines and their inconsistent application of power while in choke/warm-up mode. In some instances, the engine would bog. Imagine this scenario occurring while pulling out in traffic or getting out of the way of a truck! This leads us to the modern engine. As we all know, carburetors have been replaced with fuel injection. These systems are computer controlled to manage their own warm-up cycle. This is monitored by sensors to ensure the most possible efficiency and least emissions. Modern fluids in your car are for the most part synthetic or semi-synthetic. This means they last longer and are unaffected by cold temperatures. Needless to say, many studies have been done on this subject. The study term for this topic is “non-traffic idling”. Without getting all scientific, it has been established that vehicles left idling are a large contributor to green house gasses. The average person in cold climates that lets their car warm up before driving does so for twenty minutes! That is actually the standard warm-up time programmed into the majority of remote starters. I would also refer to years past when the average warm up on a carburetor engine was five minutes…. It has also been proven that modern engines are only 12% less efficient during warm-up mode. In summary, warming up your modern vehicle has fewer mechanical benefits for the engine than it may have in days gone by. In my opinion, let your engine warm up for a minute or two to make the engine and transmission happy on a cold day. I know I don’t hop out of bed and go for a run! We all love a warm car in the morning, but shouldn’t we all do our part when it comes to emissions? Clear windows are a good point for safety and visibility, in which case I recommend a de-ice style washer fluid in the winter. When the windscreen is frosty just pull the washer lever and watch it disappear. As always, if you have any questions about your car, feel free to email me at the address below. And also, feel free to stop by Garry’s Service Center and say hello!!! Rodents in your vehicle…a real trauma! Our very own Jon Chartier has begun a monthly series of automotive-related articles…enjoy, more to come! This month in ask Jon, I’ll be talking about an issue we’re seeing more and more; rodents in your vehicle. This time of year, they’re doing their best to find a warm home for the winter. Traces of mice and chipmunks under the hoods of cars and trucks has been common forever. The critters make nests using a multitude of materials from in and around your car. Some of these items are insulation, wiring, loom materials, paper items such as air filter media, cloth items, newspaper, and natural items such as grass and leaves. They chew away at just about anything. I’ve seen wiring and hoses chewed. I’ve even seen air intakes so clogged with mice debris the engine will not start. Another part of this issue is when these little beasts get into the interior of the car. 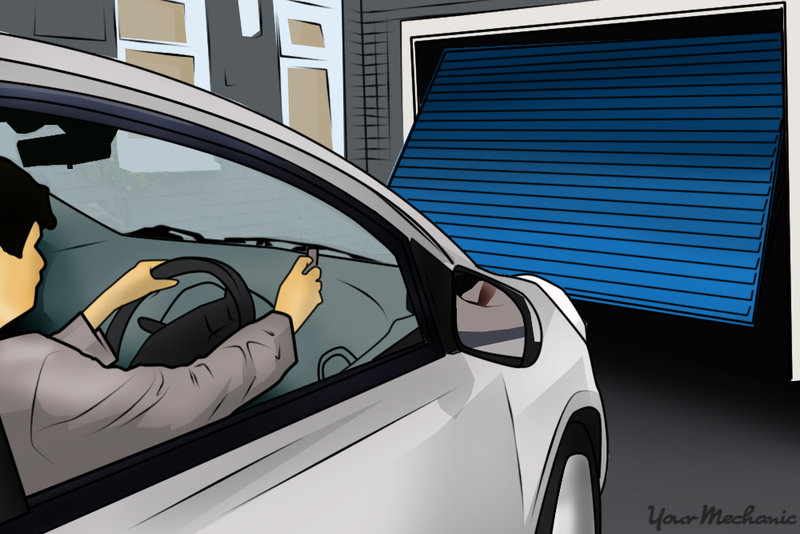 Many people leave their windows open when they park in their garages. This is an open invitation for the little creatures. Also, more commonly, they are entering through the air ventilation or HVAC system, whose intake is located near your windscreen wipers. On newer vehicles, the air is filtered by a cabin air filter. It is easy for them to chew a hole through this filter and make their way into the car through the heater box and vent tubes. In the worst cases, I have installed a piece of metal screen over the cabin filter to stop them. This screen can easily be reused each time the cabin filter is renewed. It is not uncommon for the little monsters to get caught in the blower fan. If the fan is running with them in it, it will cause them to suffocate and die there. Aside from the smell, the heater system will need to be disassembled to get the carcass out. My best suggestion to avoid all this is to keep your car clean. A mouse’s life revolves around its hunt for food. Don’t make it easy. Leftover food, wrappers and even crumbs on your seats and carpets is what they’re after. If you do end up with these critters in your car, you have a few options to rid them. Sticky mats and traps are a great method. You can also use electronic deterrents that plug in near your car in the garage. These units put out a signal that they can’t stand. We see birdseed issues all the time, so having a sealed container to store it in is critical! Prevention is way less costly than the repairs to the damage they can cause. If you have any questions about your car or even a curious car question please email me at the link below. Feel free to stop by Eurasian Autoworks and say hello! The majority of drivers probably don’t give much thought to windshield wipers and washer systems. However, if you get caught in a rainstorm, a snowstorm, get splashed with mud or slush, or run into a swarm of bugs, your windshield wipers and washer system will be the first thought you have. The first windshield wipers were invented in 1903, but they’ve come a long way since then. By 1916, wipers had become standard equipment on most vehicle makes. In 1917, the first windshield wiper powered by an electric motor became available. During the mid-thirties, the first windshield washer system, the system that sprays window washer fluid at your windshield, was introduced. By the late-forties, the first combination windshield wiper and washer systems were being used. These important inventions provided additional vehicle safety and made it possible to drive during inclement weather. Today, modern windshield wiper and washer systems have many advanced features and options. Modern systems are designed to be easy to use, extremely effective, and help maintain clear vision while driving. 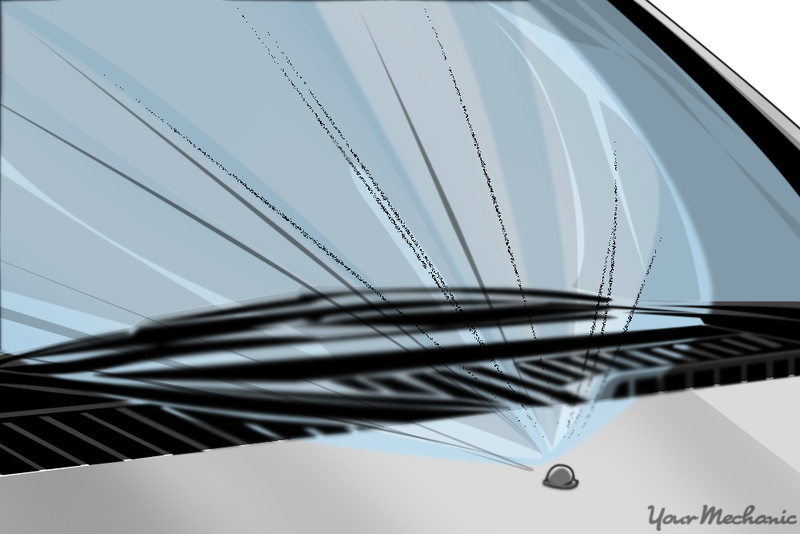 Many of us have experienced turning on our wipers only to discover that part of the rubber portion of the blade is peeling away or missing, followed by a horrible screeching sound as the damaged parts drag across your windshield. That sound means you may be permanently scratching your windshield. Regular maintenance and inspection of your wiper blades is essential to the life of your windshield, and most importantly to ensuring your safety on the road. Wiper blades can easily be cleaned by running a wet towel along the edge of the rubber blade. This will remove dust, dirt, debris, and grime that can build up over time, allowing your wipers to work more efficiently and last longer. 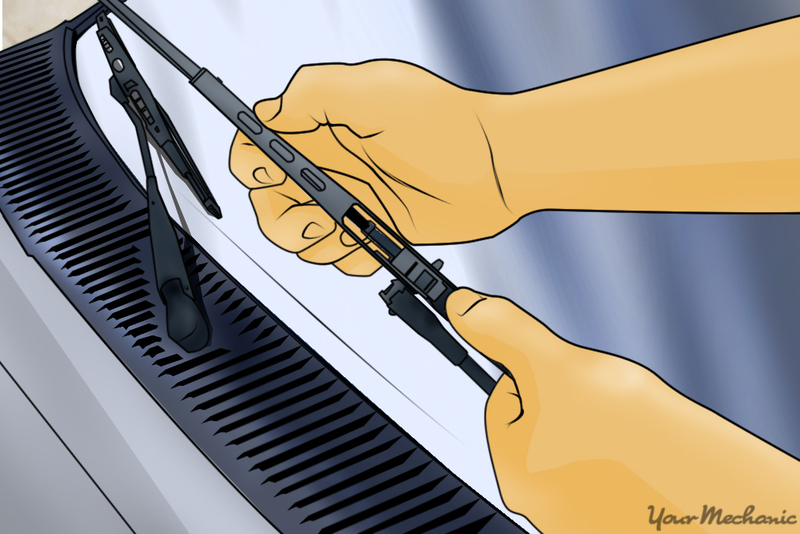 While cleaning your wipers, inspect your blades for areas that look hardened, worn, torn, or cracked. 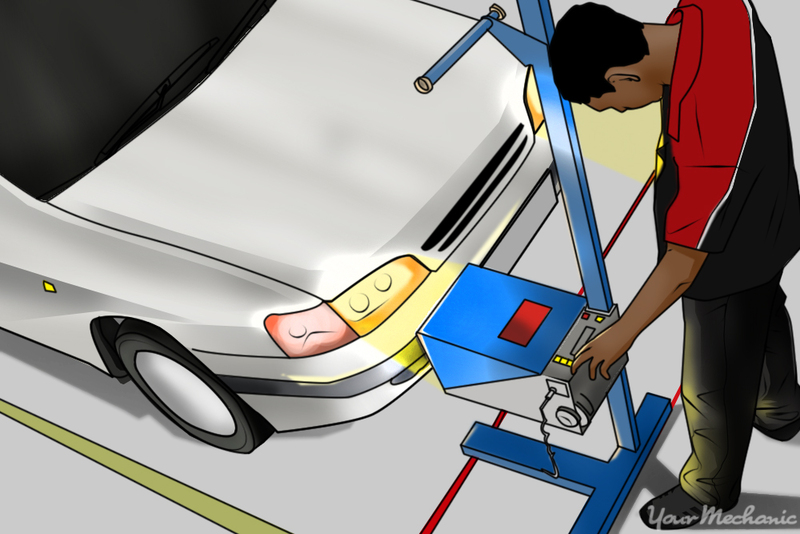 Next, inspect the operation of your windshield washer system. Check the washer fluid level and add fluid if needed. It is important to maintain the appropriate mixture of antifreeze and washer fluid suitable for the climate you live in. Do not use plain water in your washer system. It may freeze in cold weather, or develop bacteria over the course of a hot summer. Inspect the washer system spray nozzles to make sure they spray evenly across the windshield glass and provide coverage over the entire area that is being cleaned by the wiper blades. Visibility is an essential component of safe driving. Make sure you’re prepared when a rainstorm or snowstorm occurs. Inspect your wiper blades now, and on a regular basis. Replace them when necessary. Inspect the operation of your washer system. Add washer fluid when needed, and be sure to maintain the proper mixture. Maintaining your wipers and washer system is an easy and affordable way to ensure the safety of you and your family while traveling in your vehicle. The ongoing self-driving car issue…. WASHINGTON — Consumer and safety advocates are pressing Congress to scale back the number of safety exemptions for autonomous vehicles in legislation now under consideration, saying they would result in mass deployment of new technology without adequate safety protections, government oversight or industry accountability. The Senate Commerce Committee is scheduled to vote Wednesday on the AV START Act, which encourages autonomous vehicle development in part by granting each developer exemptions to annually operate up to 100,000 vehicles, phased in over three years, that don’t meet current federal motor vehicle safety standards. The SELF-DRIVE Act, passed by the House during the summer, also allows a similar number of exemptions. “Unfortunately, this bill takes a hands-off approach to hands-free driving,” Jackie Gillan, president of Advocates for Highway and Auto Safety, said on a conference call with reporters. Automakers and technology companies argue large numbers of exemptions are necessary to validate the artificial intelligence controlling the vehicles and encourage investment. The Senate and House are attempting to set rules of the road for development and deployment of self-driving cars, which have the potential to revolutionize transportation, reduce highway deaths and injuries, improve congestion and air quality, and reorient land use. Public interest groups say the Senate bill has other flaws, such as not requiring manufacturers to clearly spell out to consumers the capabilities and limitations of automated vehicles they purchase, or the government to collect real-world performance data so it can conduct independent research. They point to National Transportation Board findings last month that Tesla’s Autopilot system was a contributing factor in a 2016 crash involving an autonomous Model S because it facilitated inattention and operated outside its designed capabilities. “The American public will be the crash-test dummies for self-driving cars if automakers aren’t held to higher standards,” Joan Claybrook, the former president of Public Citizen and head of the National Highway Traffic Safety Administration, said. Opponents of the existing bill include Consumers Union, the Center for Auto Safety, the Consumer Federation of America and the National Consumers League. U.S. Sen. Edward Markey, D-Mass., said he planned to introduce amendments on Wednesday that would require consumer education on how to safely operate self-driving cars, direct NHTSA to establish federal cybersecurity standards for cars and protect the privacy of consumer information captured by vehicles for entertainment or tracking purposes. The recent history of deadly safety defects, recalls and industry cover-ups combined with inadequate federal oversight demonstrates the need for tighter regulatory control, especially as sophisticated computerization increases vehicle complexity, the safety groups said. They recommended that Congress significantly increase NHTSA’s funding and require the establishment of a specialized autonomous vehicle department, with highly trained and experienced staff, to oversee autonomous vehicle standards. The House and Senate bills differ in how the exemption caps would be increased. The House version meters out exemptions for companies that have applied, starting at 25,000 in the first year, and growing to to 50,000 in Year 2 and 100,000 in Years 3 and 4. The Senate version authorizes the Department of Transportation to grant 50,000 exemptions in Year 1, 75,000 in Year 2 and 100,000 in Years 3 and 4. It automatically raises the exemption cap across the board, meaning a company that didn’t apply for an exemption until the second year would automatically be eligible to put 75,000 cars on the road instead of starting with 50,000 vehicles. Preparing your car for winter driving conditions is extremely important no matter where you live. Winter is a challenging time of year to be a motorist with treacherous road conditions, cold temperatures, and a higher likelihood of breakdowns or problems with your car. Being prepared for winter driving will make the cold season easier to bear. As important as it is to be prepare your car for winter, it is just as important to adjust your own behavior. Your awareness levels should be heightened, and your defensive driving skills should be honed and ready for anything that might come your way. You will need to take extra caution while turning and passing other vehicles, especially if road conditions are slippery and dangerous, which means paying extra attention to outside temperatures. The first line of defense against hazardous conditions during the winter is probably always going to be the quality and condition of your vehicle, and the ways you go about inspecting your car and adjusting things accordingly are most likely going to be determined by where you live. Follow the simple steps below to know how to prepare your vehicle for safe driving during the winter. You should never drive in extreme and dangerous conditions, like blizzards, storms, or extreme subzero temperatures, or any condition that might leave you stranded in a low traffic area. If you live in a rural area and/or in an area with extreme weather conditions and you absolutely must drive, however, before the winter temperatures arrive, assemble an emergency kit to keep in your car. This kit should contain non-perishable or reusable items, especially because you are going to do everything possible to prevent a situation in which you would need to use it. Tip: Before you leave on a journey through winter road conditions, make sure a family member or friend knows where you’re going and how long it should take you to get there so that they can notify someone if they think something has gone wrong. Also, make sure your cell phone is fully charged before you leave, and bring a car charger with you just in case. Step 1: Find a storage container to put in your trunk. Milk crates, boxes, or plastic bins are good choices. Pick something large enough that your whole kit, minus the shovel, will fit inside. Step 2: Organize the kit. Put the items that are least likely to be used on the bottom. This would include the blanket, candles, and a change of clothing. Step 3: Make essential items easily accessible. Put the food items and water bottles in an accessible spot, as well as the first aid kit. The food items should be changed out annually so that’s why it is important to keep them easily accessible. 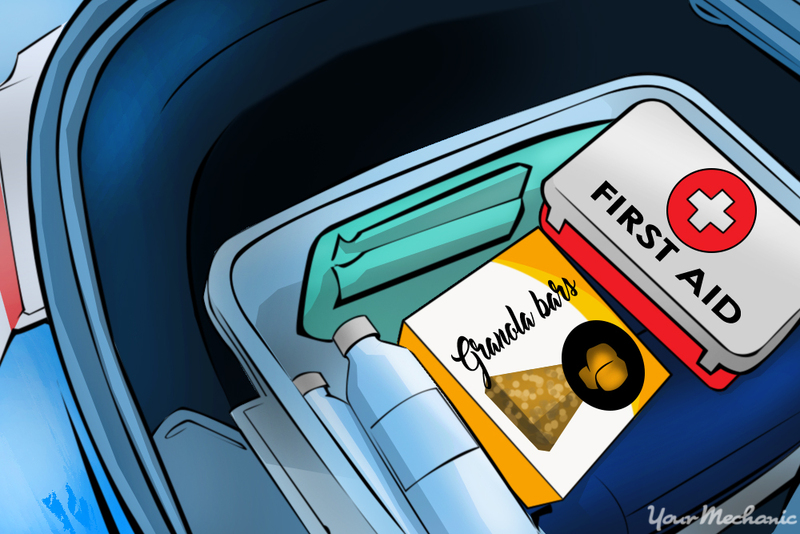 Good food items to store in your car are granola bars and fruit snacks or anything that can be eaten cold or even frozen. 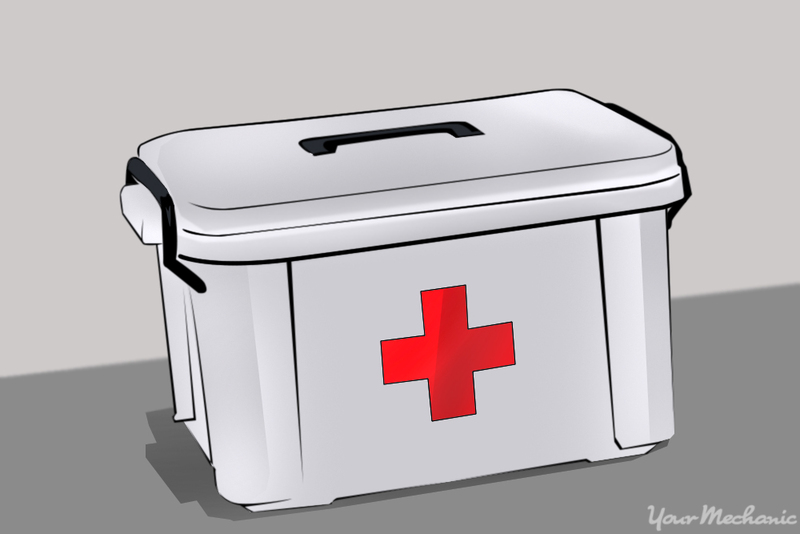 The first aid kit should be packed on top so that it can be easily grabbed in the event of an emergency. Warning: There is a high likelihood of the water bottles freezing in your trunk. In an emergency, you may need to thaw them with your body heat in order to drink them. Step 4: Stow your safety kit. Place your winter safety kit in your trunk or hatch, stowed where you can access it in an emergency. Put the lightweight, durable shovel in your trunk beside the kit. Your engine’s coolant, or antifreeze, needs to be able to withstand the coldest sustained temperature you will see in your climate. In northernmost states, that can easily be -40°F. Check your coolant and change it if the coolant mixture isn’t strong enough to withstand the cold. 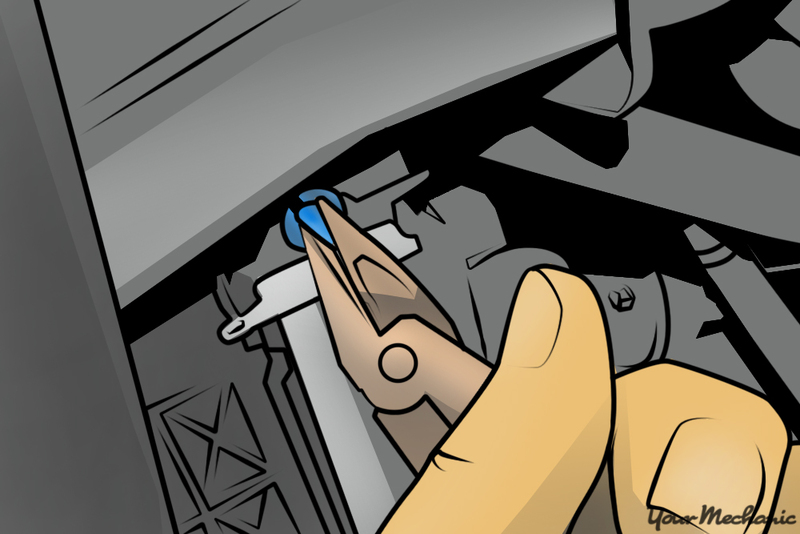 Step 1: Remove the radiator cap or coolant reservoir cap. 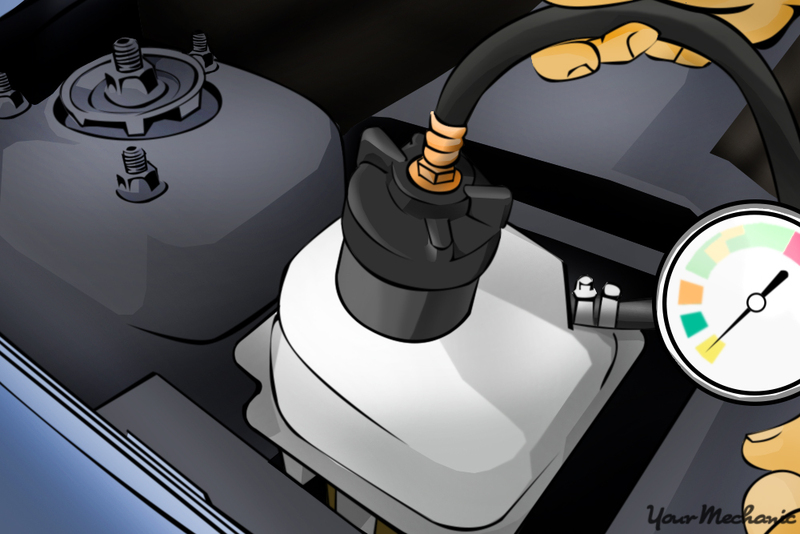 Some vehicles have a cap on the top of the radiator while others have a pressure cap on the reservoir bottle. 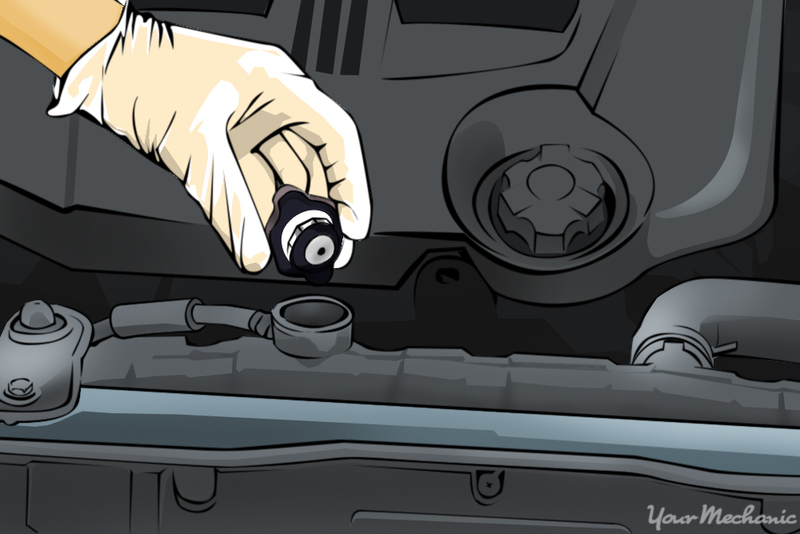 Warning: Never open your engine’s cooling system cap or radiator cap when the engine is hot. Serious burns can occur. Step 2: Insert the hose. Put the coolant tester hose into the coolant in the radiator. Step 3: Squeeze the bulb. Squeeze the rubber bulb to expel the air inside the tester. Step 4: Release your pressure on the rubber bulb. Coolant will be drawn through the hose and into the coolant tester. Step 5: Read the temperature rating. 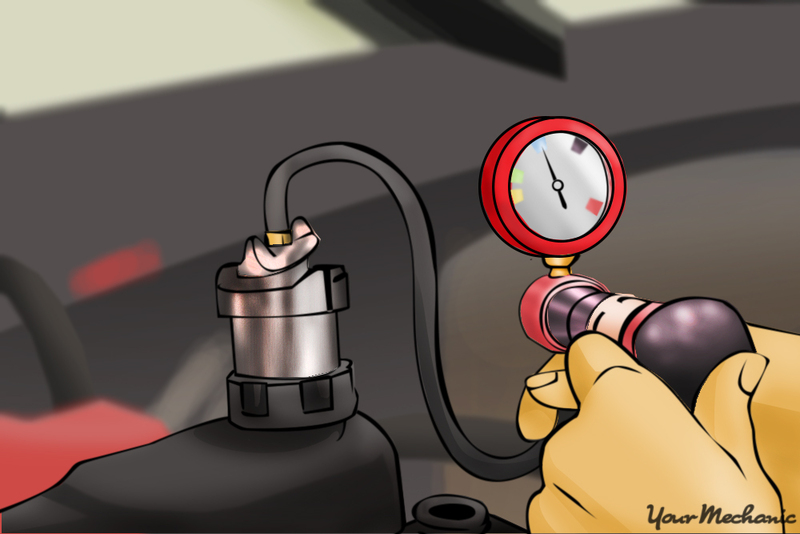 A temperature rating will be displayed on the dial of the coolant tester. If the rating is warmer than the coldest temperature you will likely see this winter, you will need to change your engine coolant. If the temperature rating is at or colder than the coldest expected temperature, your coolant will be fine for this winter and you can skip ahead to Part 3. Tip: Check your coolant temperature rating annually. It will change depending on coolant top-offs and deterioration over time. Step 6: Position your catch pan. 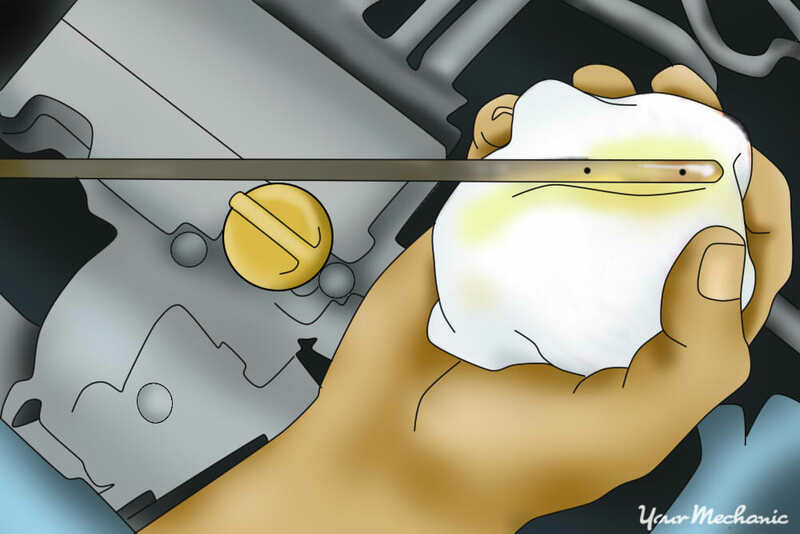 If your coolant is not adequate, you will need to drain it by first sliding a catch pan under your car. Line it up with the draincock in the radiator or the lower radiator hose if your radiator doesn’t have a draincock. Step 7: Remove the draincock. Unscrew the draincock or remove the spring clamp from the lower radiator hose with your pliers. A draincock will be located on the engine side of the radiator, at the bottom of one of the side tanks. Step 8: Release the radiator hose. You may have to wiggle or pry the lower rubber radiator hose off of the radiator outlet. Step 9: Catch the coolant that drains out with your pan. 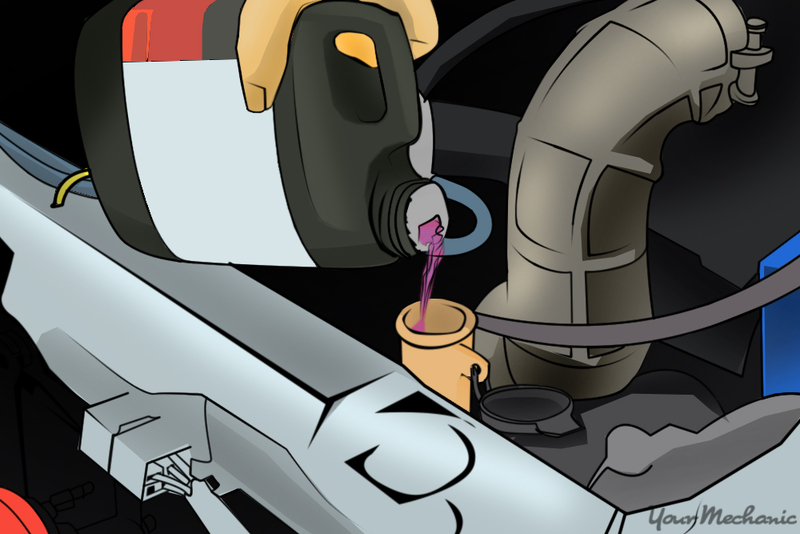 Be sure to catch all of the draining coolant, letting it drain until it stops. Step 10: Reinstall the draincock and radiator hose, if applicable. Make sure the draincock is tightened completely to seal it. If you had to remove the radiator hose, reinstall it, making sure that it is fully seated and the clamp is inserted back in place. Step 11: Fill the cooling system. Fill the tank with the proper amount and strength of coolant. Using a premixed coolant to be sure of its qualities, fill the radiator completely through the fill cap. When the radiator is full, squeeze the radiator hoses and the heater hoses to push any air bubbles out of the system. Warning: Trapped air can form an airlock, which can cause your engine to overheat, causing extensive damage. Step 12: Start the engine with the radiator cap off. Run the engine for 15 minutes or until it’s at operating temperature. Step 13: Top off the coolant. As air purges from the system, top off the coolant level. Step 14: Reinstall the cap and test drive your vehicle. Place the radiator cap back on the system and then drive your car for 10-15 minutes. Step 15: Park your car. After the test drive, park your car and let it cool down. 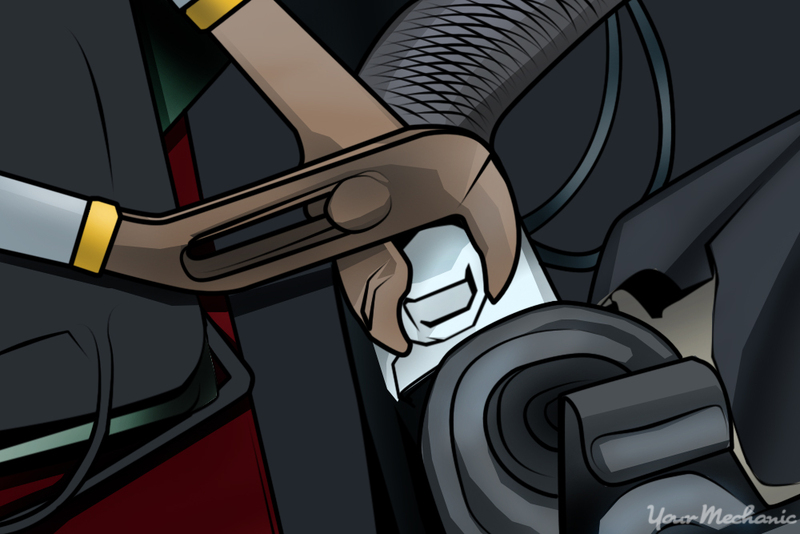 Step 16: Recheck the coolant level. 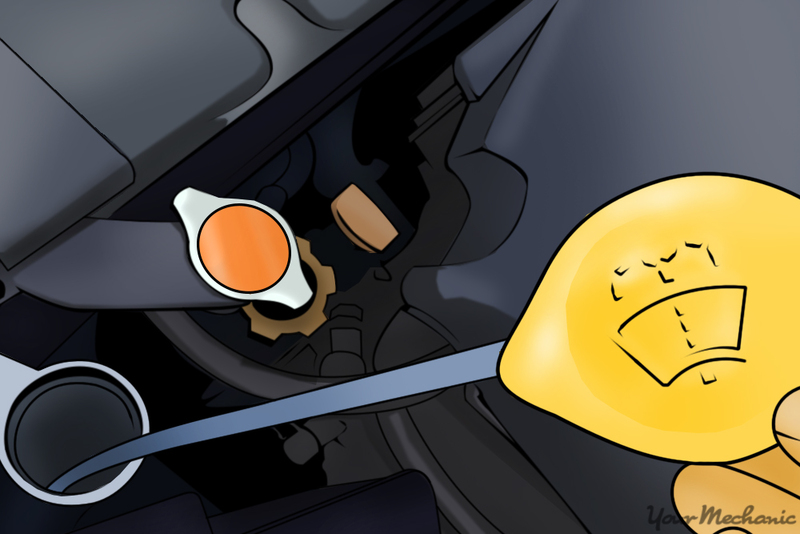 Recheck the coolant level once the engine has completely cooled down and top it off as required. Your windshield washer system is crucial when the temperature drops and the roads get snowy and slushy. Make sure your windshield wipers are in good working order and service them as needed. If your windshield washer fluid is summer fluid or water, it doesn’t have antifreeze properties in it and can freeze in your washer fluid reservoir. If your washer fluid is frozen, you won’t be able to clear your windshield when it gets dirty. A good rule of thumb for cold climates is to use winter washer fluid year-round and never operate your washer fluid pump when the reservoir is empty. Step 1: Check your washer fluid level. 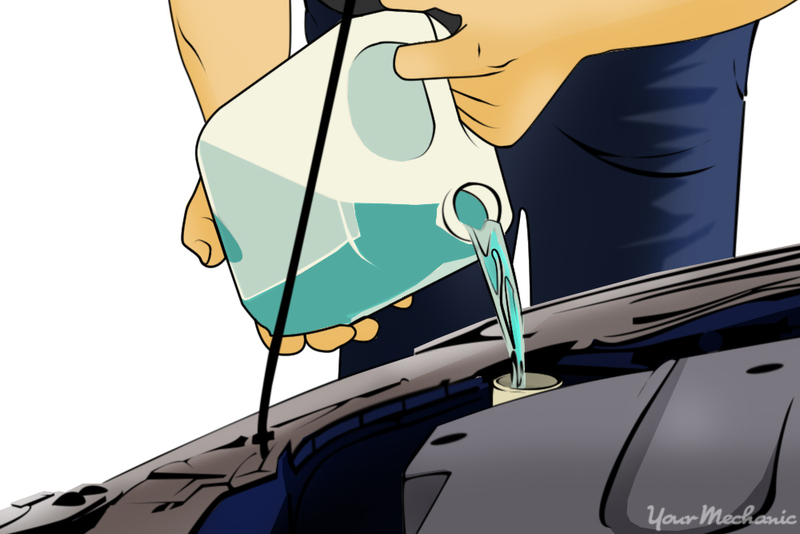 Some washer fluid reservoirs are hidden in a wheel well or behind a shield. Typically these reservoirs will have a dipstick in the filler neck. Step 2: Top off the fluid level. If it is low or nearly empty, top off your washer fluid reservoir with winter washer fluid. Use washer fluid that is rated for temperatures at or colder than the temperatures you expect to experience during the course of the winter. Step 3: Empty your reservoir if needed. If the washer fluid is nearly full and you aren’t sure if the fluid is suitable for cold weather, empty your washer fluid reservoir. Spray your washer fluid repeatedly, pausing for 15 seconds between sprays to let the washer fluid pump cool down. It will take quite a while to empty the reservoir in this fashion, as much as a half-hour or more if the reservoir is full. Warning: If you spray continuously to empty your washer reservoir, you can burn out your washer fluid pump. Step 4: Fill your reservoir with winter washer fluid. Once the reservoir is empty, fill it with winter washer fluid. Step 5: Check your wiper blade condition. If your wiper blades are torn or leave streaks, replace them before winter. Keep in mind that if your wiper blades are working poorly in summer weather, the effect increases exponentially when snow and ice enter the equation. While you may not think of performing regular maintenance as part of winterizing your vehicle, there are significant added benefits of doing so before the cold weather hits. Besides just checking to make sure that the heater and defroster are working inside the car, you should also touch on each of the following steps. Step 1: Change your engine oil. Dirty oil can be trouble during the winter, so make sure you have the oil changed before the colder months, especially if you live in extreme winter conditions. You don’t want rough idling, reduced fuel economy, or sluggish engine performance, which can put stress on the engine, potentially contributing to engine problems down the road. Draining your engine oil also removes moisture that has built up in the crankcase. Use synthetic, synthetic-blend, or cold weather oil in the particular grade your vehicle requires as indicated on the oil filler cap. Clean oil allows internal engine parts to move more freely with less friction, making cold starts easier. Have a certified mechanic change your oil for you if you aren’t comfortable doing it yourself. 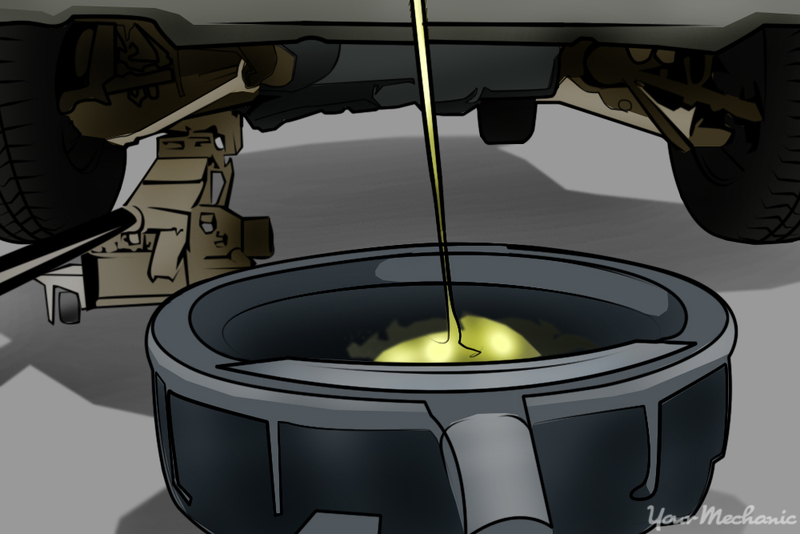 Tip: If you’re having the oil changed by a mechanic, the oil filter should be changed as well. Have the mechanic also check the condition of the air filters and the transmission fluid and corresponding filters in the same service. 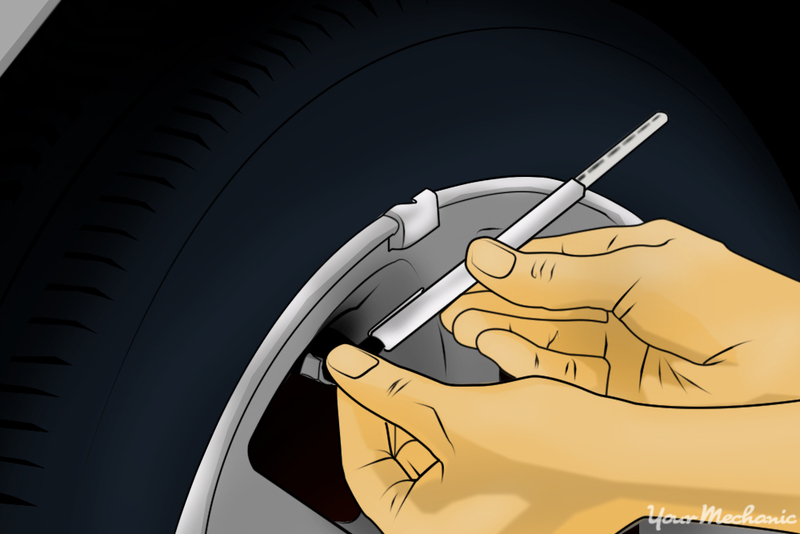 Step 2: Check your tire pressure. In cold weather, tire pressure can be dramatically different than during the summer. From 80°F to -20°F, the tire pressure can drop around 7 PSI. Adjust the tire pressure to the recommended pressure for your vehicle, which is written on the driver’s door placard. Low tire pressures can affect your car’s tracking in the snow and decrease your fuel efficiency, but don’t overinflate your tires as you will have reduced traction in slippery conditions. With fluctuating winter temperatures, make sure you check the tire pressure often — at least every two to three weeks — since maintaining good tires that are inflated to the optimum pressure is one of the best ways to remain safe on the road during the winter. Step 3: Check your lights. Confirm that all your lights are operational. Check the turn signals, the headlights and their different brightness levels, the marker lights, the fog lights, the emergency lights, and the brake lights to ensure everything works, and have any replaced as needed. Many accidents can be avoided with working lights as these help other drivers discern your location and intentions. Tip: If you live in extreme weather conditions, always make sure all your lights are free of snow and ice before you drive, especially in foggy, snowy, or other reduced visibility conditions, or at nighttime. Step 4: Check your car’s battery and electrical components. Though not necessarily part of your regular maintenance routine, it is important to check the condition of the electrical components under your hood, especially the battery, because cold weather can be very hard on the battery’s charging capacity. Check the battery cables for wear and corrosion, and clean the terminals as necessary. If there is wear on the terminals or the cables, replace them or have a mechanic replace them for you. If there are any loose connections, make sure you tighten them. 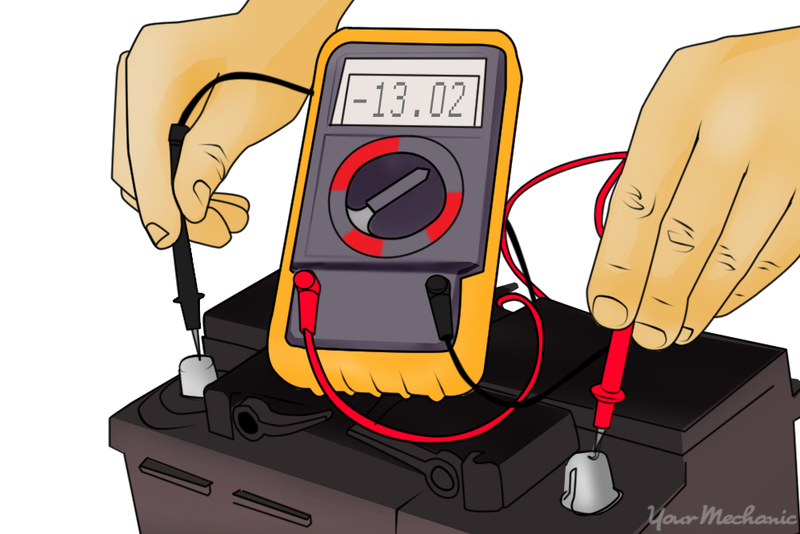 If your battery is aging, make sure you test the voltage or have the voltage level checked. If the battery is reading in the 12V range, it is losing its charging power. You must keep a close eye on it under cold conditions, and if you live or drive in more extreme temperatures, consider having it replaced before winter starts. Step 1: Consider winter tires. If you drive in a climate that sees a cold, snowy winter for three or more months of the year, explore the possibility of winter tires. Winter tires are made of a softer rubber compound and don’t firm up the same way all-season tires do. There are more sipes, or lines, in the tread blocks to enhance traction on slippery surfaces. Summer or all-season tires lose effectiveness at temperatures below 45°F and the rubber becomes less pliable. Step 2: Determine if you already have winter tires. Check for a mountain and snowflake icon on the side of your tire. This icon indicates that a tire is good for use in cold weather and in the snow, whether it is on a snow tire or an all-season tire. Step 3: Check your tread depth. The minimum tread depth to operate your car safely is 2/32 of an inch. 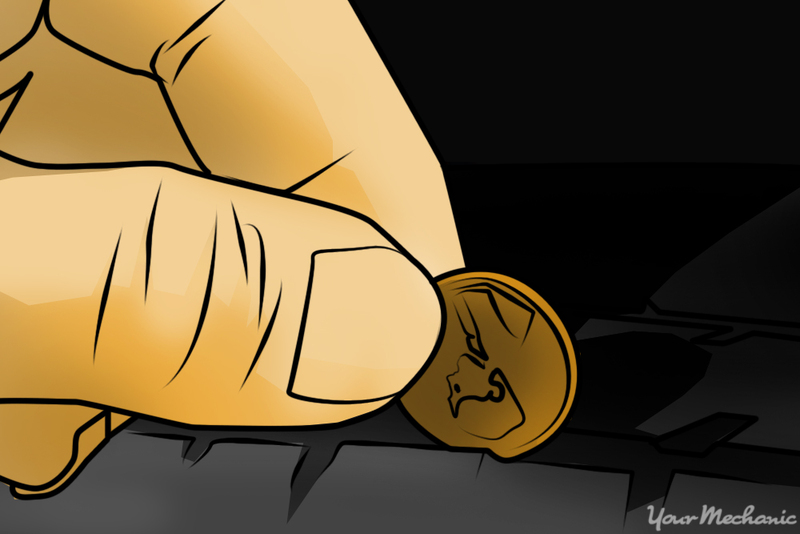 This can be measured by inserting a penny with Lincoln’s head upside down between the tread blocks of your tire. If the top of his head is visible, the tire needs to be replaced. If any part of his head is covered, the tire still has life left. The more tread depth you have, the better your traction will be in the winter. 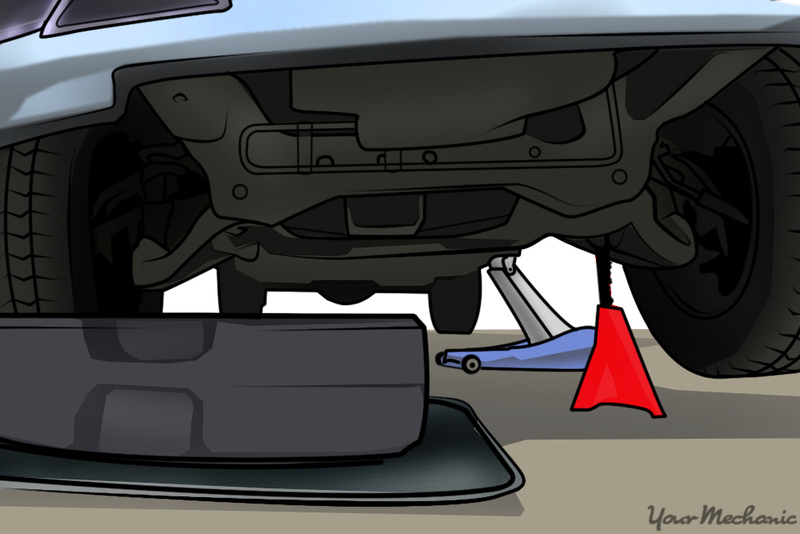 Tip: If a mechanic is checking the tires for you, make sure they check the condition of the brakes as well. Cold, wet weather can do damage to your car’s paint, especially if you live in an icy or snowy area where road salts are used often. Keeping your car sheltered will reduce damage caused by road salts, help prevent fluids from losing their viscosity or freezing, and keep ice and snow off of your lights and windshield. Step 1: Use a garage or carport. If you have an indoor shelter for your car, make sure you store your car there whenever it is not in use. Step 2: Get a car cover. 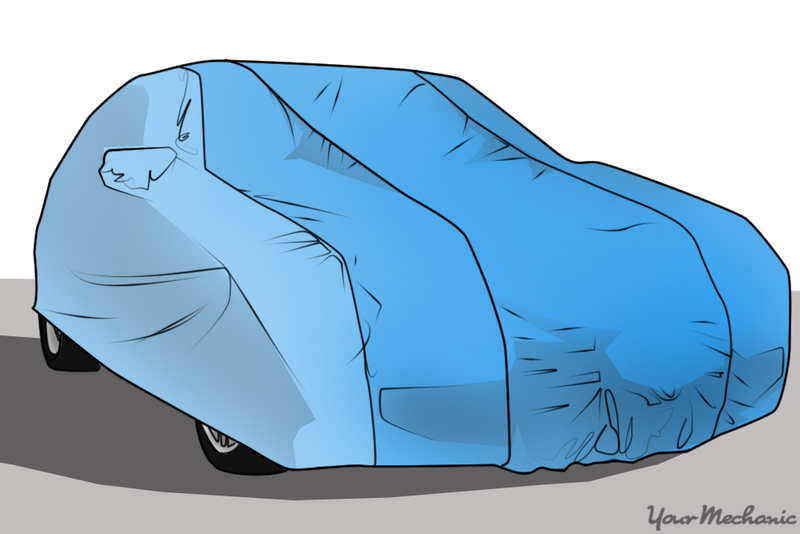 If you do not have access to a garage or carport for your car during the winter, consider the benefits of purchasing a car cover. Preparing your car for winter is essential to keeping you safe while driving and in the event of a breakdown. This is especially important if you live in a rural area and/or an area where winters are long and harsh. If you need any advice on how specifically to winterize your vehicle, you can ask a mechanic for quick, detailed advice that can go a long way to getting you ready for winter. Annually, J.D. Power conducts the U.S. Vehicle Dependability Study (VDS). The study measures problems with design and defects with 3-year-old vehicles, as reported by original owners of the vehicles. Participants in the study detail what has gone right and what has gone wrong with their cars, trucks, SUVs, and vans, and J.D. Power analyzes the data and publishes its conclusions in the VDS. To express study findings in a simple, consumer-friendly way, J.D. Power generates Power Circle Ratings. These ratings are an easily understood visual representation of a model’s performance relative to its competitors and are designed to help consumers make smart decisions about the vehicles they buy. This buyer’s guide highlights the top-rated 2014 small cars that receive a Power Circle Rating of 5 out of a possible 5 for vehicle dependability after 3 years of ownership. With the 2014 Verano, Buick aimed to provide entry-level luxury at a relatively affordable price. In 2014, the standard infotainment system added text-messaging support as well as Siri Eyes Free compatibility, while the optional Convenience Group expanded to provide key safety technologies, including forward-collision warning, blind-spot monitoring, and more. The 2014 Buick Verano receives a Vehicle Dependability Power Circle Rating of 5 out of 5. Available in sedan and hatchback body styles, the 2014 Chevy Sonic is a safe, technologically advanced and dependable small used car. In 2014, Chevrolet introduced forward-collision and lane-departure warning systems to the car, made a reversing camera standard for LTZ and RS trim levels, expanded the RS trim to the sedan body style, and added an upscale Dusk option package for the LTZ Sedan. The 2014 Chevrolet Sonic receives a Vehicle Dependability Power Circle Rating of 5 out of 5 and receives a dependability award in the Small Car segment. Honda’s ever-popular compact car, the Civic, came in coupe and sedan body styles in 2014 and with gasoline, gas-electric hybrid, and compressed natural gas drivetrains. In 2014, the coupe was restyled to improve its appeal, gasoline drivetrains were upgraded, and a next-generation version of HondaLink subscription services arrived, along with a larger infotainment screen. Keyless entry and a LaneWatch camera system also arrived in 2014. The 2014 Honda Civic receives a Vehicle Dependability Power Circle Rating of 5 out of 5. Completely redesigned for 2014, the Kia Soul grew much larger and received a significant injection of refinement. If not for its lack of an optional all-wheel-drive system, it could qualify as a small SUV. Trim levels included base, Plus, and Exclaim, and Kia offered two different engines for the Soul. When fully equipped, feature content rivaled entry-luxury vehicles. The 2014 Kia Soul receives a Vehicle Dependability Power Circle Rating of 5 out of 5. Toyota’s well-known hybrid car, the Prius, is a 5-door hatchback. In 2014, it was available with a gas-electric drivetrain or a plug-in gas-electric drivetrain that supplied 11 miles of electric driving range at speeds under 60 mph before switching to gas-electric functionality. No changes, aside from price reductions to the Prius Plug-in, were made for 2014. The 2014 Toyota Prius receives a Vehicle Dependability Power Circle Rating of 5 out of 5 and receives a dependability award in the Compact Car segment.